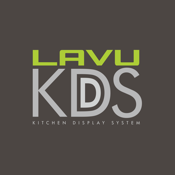 Lavu KDS is a kitchen display application for the Lavu POS application. 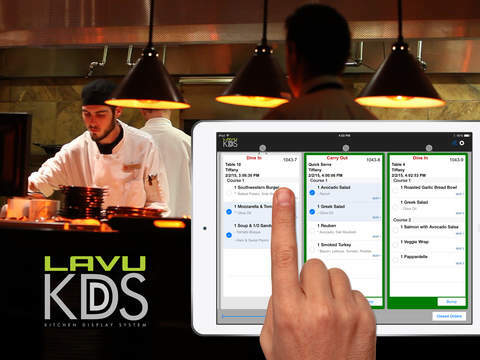 Take control of your kitchen, bar, or barista operations with Lavu KDS! 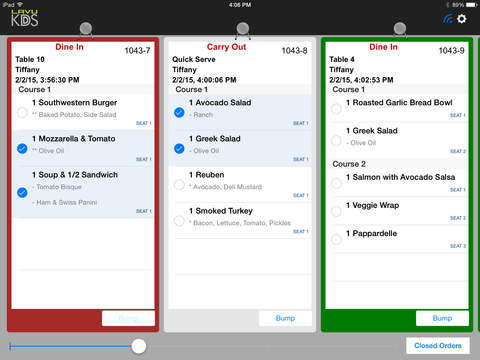 Whether you are a high-volume, quick-service operation or run a delivery-based restaurant, our iPad based Kitchen Display System provides a real-time ordering system that's directly integrated with your Lavu point of sale system. Lavu KDS helps your staff become more productive without the need of wasteful printer paper while saving the environment! 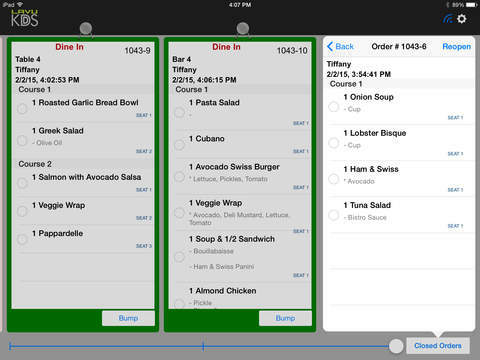 Lavu KDS provides a simple interactive experience for managing incoming orders from your Lavu point of sale system. There's no need for clunky, external hardware; Lavu KDS's stylish iOS touch screen display makes your process simple and efficient. KDS Lavu can be extended to display on full screen monitors should that fulfill your needs. There's no need to have a healthy stock of printer paper for your quick serve operations. 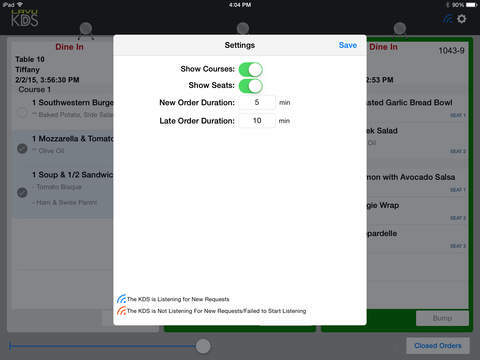 Simply set up KDS Lavu and start serving in style!